Research shows that by 2030 all coral will be gone and only 50% of the cause is from humans snorkeling. The other 50% is because of tsunamis! On this website I will surprise you with many facts about the coral’s diet, habitat, and movement. The diet of this animal is really fascinating! The coral catches small fish and animals such as plankton. Sometimes these creatures even eat zoo plankton! They do this by using stinging cells on their tentacles. Can’t you almost see the snake like tentacles striking at algae! 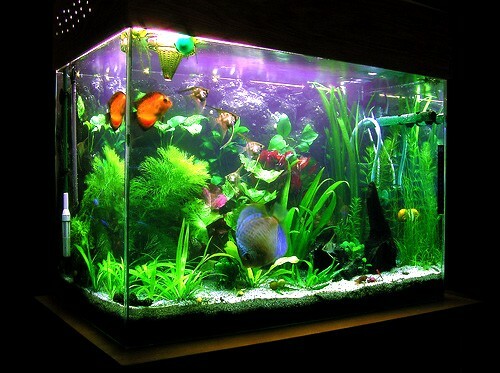 Although, these half plant half animal creatures obtain most of their nutrients from algae. The habitat of this remarkable animal is usually beautiful! This unique species is usually found in the southern hemisphere. It lives here because it survives in tropical and warm climates. This makes me think of the movie Finding Nemo, and the part where they were at their home! This means that most corals depend on sunlight and grow in shallow waters. 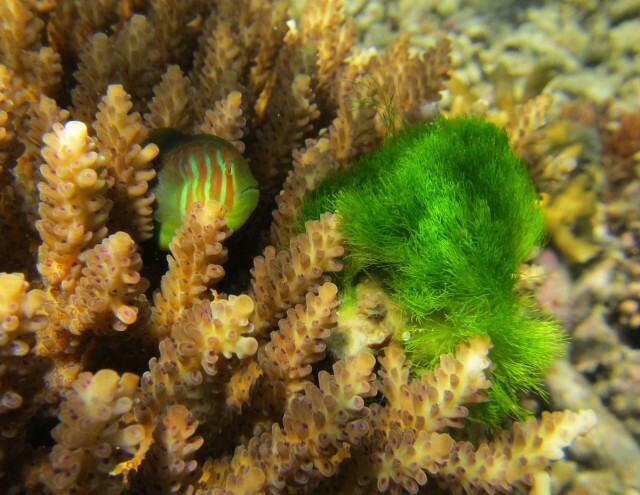 So, this habitat makes most sense for an animal related to the sea anemone. The water is typically at depths shallower than 200 feet (60 meters). 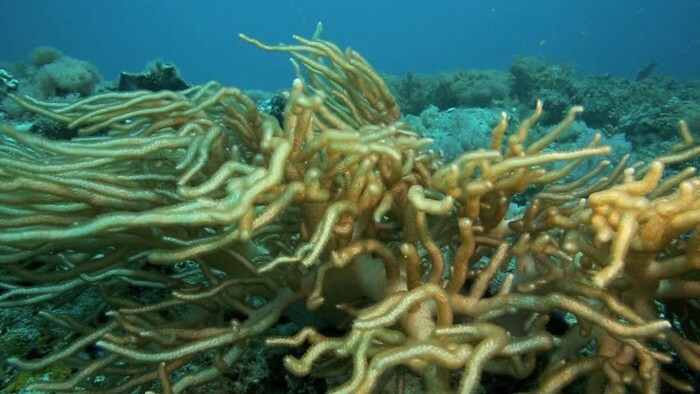 There are however a number of coral species that have adapted to inhabiting the oceans at depths of up to 3,000 meters. Because this animal is half plant half animal, it’s movement is unique! The coral themselves are the most abundant animal in the reef. It is hard to believe, but most coral only move with the current.They are tiny organisms called polyps that attach themselves to the hard reef and live there forever. Coral moves only a very short distance unless they are picked up by the ocean current. 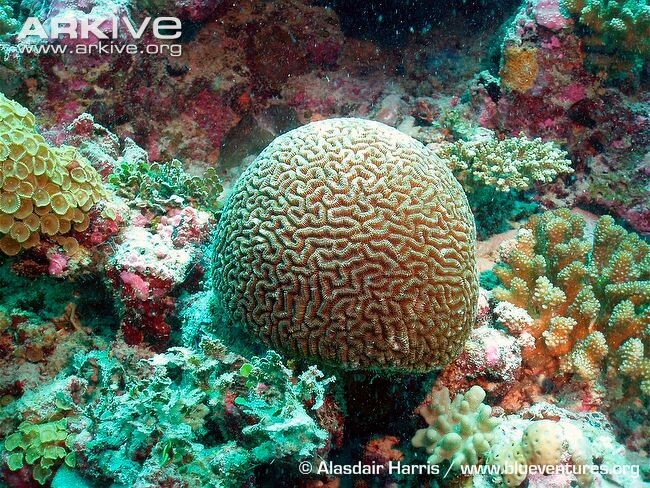 Brain coral though, unlike the others, has microscopic legs that help it move from place to place. Did you get surprised with the many facts I shared about coral’s movement, diet, and habitat? Did you remember how deep coral can live? Also, do you remember coral can’t move? How about how it eats mostly algae? I hope you learned a lot about coral and enjoyed my article! The theme of my fish tank is a fantasy. It has a glow in the dark castle, some mystical plants and a Finding Nemo statue. It also has rainbow gravel. 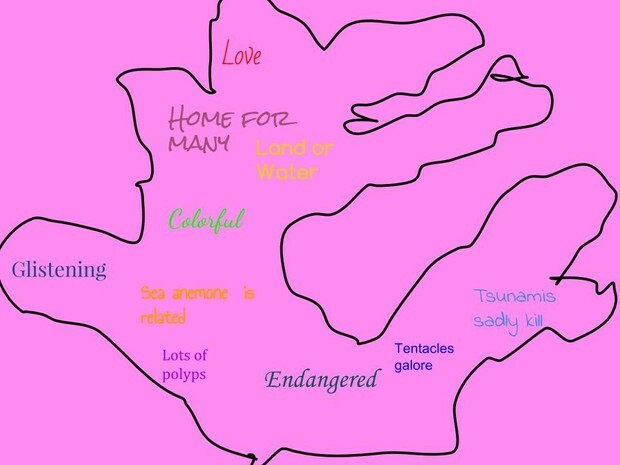 Some fish that call this place home is the Elephant Ear beta. The Siamese Fighting fish gets along well with the others. The Strawberry Dottyback blends in perfectly with the plants. Also, the Carpenter Fish likes it here, because it has plenty of room to swim. Lastly, the Blue Tang finds this habitat relaxing and comfortable! In total, to make this tank and get the fish it cost $245.57. The fish will need 13 gallons of support, because they are a total of 12.25 inches. I had a lot of fun customizing this tank and I recommend this project to others! 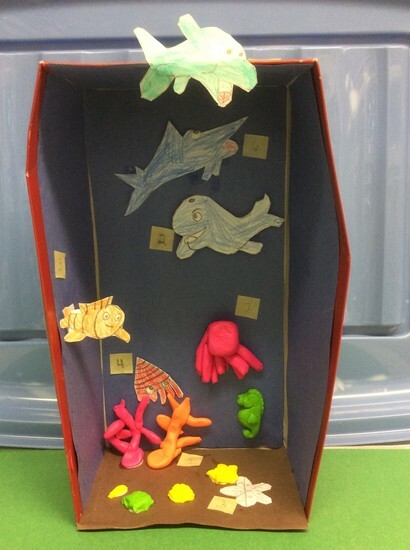 This is a diorama of the coral reef. In this creation, I made a swordfish, coral, starfish, dolphin, whale, clown fish, jellyfish, and squid.